The Beeches is another popular scheme in Wendover. 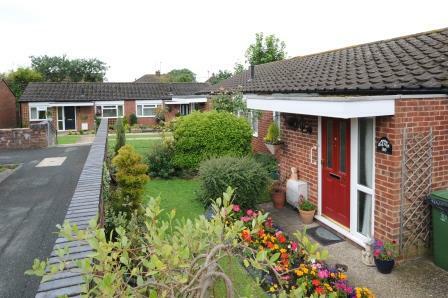 Opened in 1972, it occupies a quiet spot at the Halton end of the village, within easy reach of local amenities. The scheme offers both one-bedroom flats and two-bedroom bungalows. Residents benefit from excellent communal facilities including two lounges, library/study room and a large laundry room. The secluded gardens are enhanced with decking and a patio. 36 units: 22 One Bedroom flats for couples and 10 two-bedroom bungalows. Accessibility: Local Budgens and Co-op situated in the High Street. Tesco Express situated by the Halton End of the village. Village hosts many eating places, antique rooms, estate agents, hair and beauty shop and Rumsey’s Chocolate Shop. Lifestyle: Monday Bingo by social club (subject to membership). Residents social club hold regular events and meals including live singers, lunchtime meals, like fish and chips at a small cost per meal. Pets: Pets not accepted in flats but they are permitted in the bungalows. Managers notes: A newsletter is compiled by the Scheme Manager to inform residents of any up and coming events, and any general news items regarding the scheme.